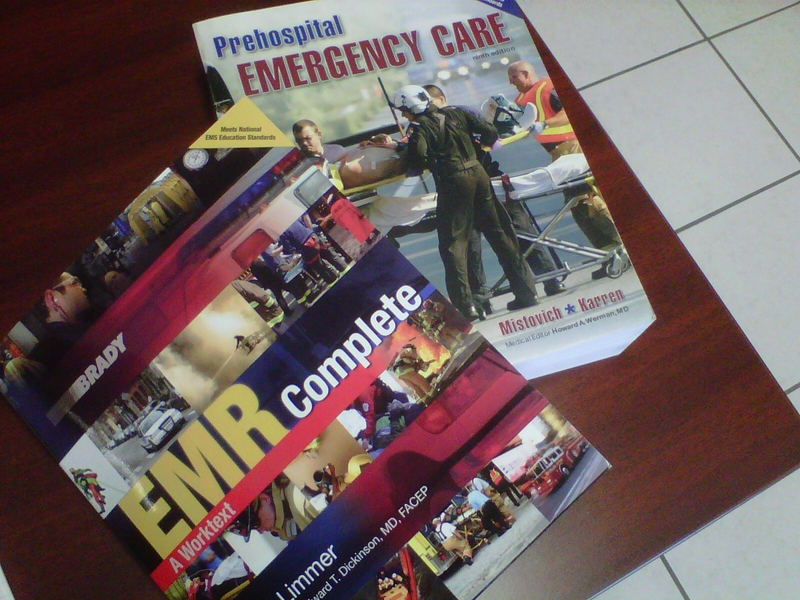 Two new textbooks have recently been added to the EMS Reference Library, located on the second floor of the station. “EMR Complete – A Worktext” and “Prehospital Emergency Care – 9th edition” are both 2010 textbooks that can be used for research, curiosity or general interest. Like all books in the Reference Library, they are for use in station only and are to be returned after use. Posted in Uncategorized on November 17, 2010 by Jordy Reichson.